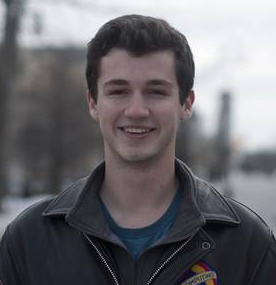 Please join me in applauding Zac Baum, 4th year BMCO undergraduate in the Perk Lab, who has been selected as a recipient of the 2017-18 Academic Excellence Award from the Queen's School of Graduate Studies. This prestigious award recognizes excellence and research potential of applicants who will begin their Master’s studies at Queen’s in 2017-18. The award is valued at $15,000 to support Zac in the his first year of graduate study. As I like saying - I am pleased, but not surprised.